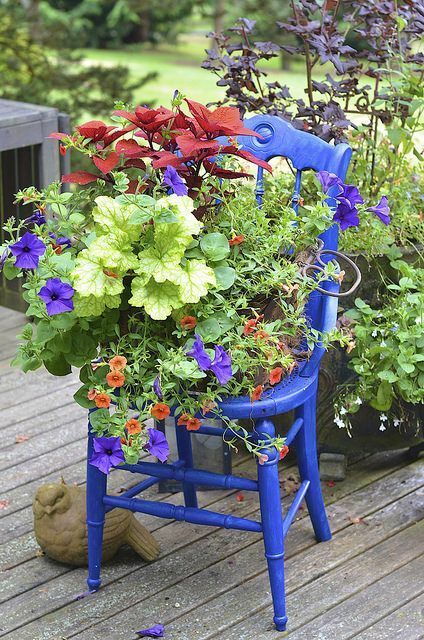 I love using old chairs for flower planters. You can leave them as they are , or paint with your favorite color. 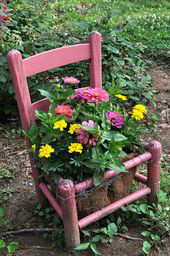 You can place the flower pot on the seat or if the seat is no longer there then just get a flower pot with a large enough top(so it doesnt fall through) to place where the seat used to be. 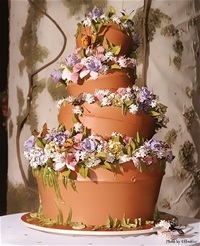 Fill with your soil and favorite plants and place anywhere you want.